The best trained Illinois DUI lawyers know that if you are going to take an IL DUI case to trial you will sometimes need a DUI Expert Witness. 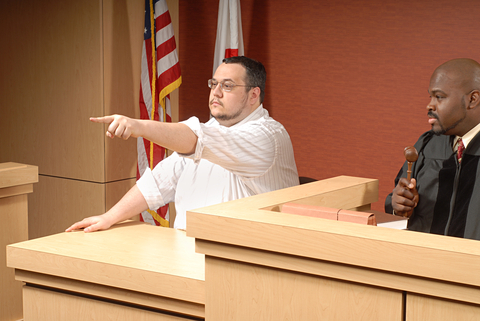 Expert Witnesses are witnesses who have a specialty recognized by the courts. They are typically people with Ph.D. degrees, medical degrees, or some other advanced type of degree. They have spent years researching and often applying that research to real world applications. For an Illinois DUI case there are several different types of DUI expert witnesses that may be useful in helping to explain the science behind the DUI detection, arrest, and processing procedures. A Standardized Field Sobriety Training expert witness can be useful to show the jury how the tests were designed, what they are designed to test, and how differences between what the arresting officer did and what he was trained to do affects his conclusions that you were intoxicated. These experts will often write a detailed report after reviewing the videotape of the SFST’s, reading the police reports, and doing further investigation where necessary. A DUI breath machine expert witness is useful to explain to the jury how the machines function, the fallibility of the machines, and any thing that was done in your case, or with the machine you were tested on that could affect the breath results reading. Breath machine maintenance is a huge factor. If the breath machine is off slightly it can cause your BAC reading to be extraordinarily high. After review of your case we will explain the pros and cons of hiring an Illinois DUI expert witness. Ultimately, it is your decision, and different experts have different payment options. Whether an Illinois DUI expert witness is necessary is not a decision that can be made until after a thorough review of all of the evidence. As your Illinois DUI lawyer, we want to build your defense as strong as possible, but with as a minimal impact on your finances and your future as possible. Call us today for a free, confidential evaluation.